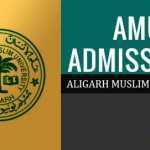 AMU Admit Card 2019 for B.Sc. (Hons) – Released! AMU Law Entrance Exam 2019 Application Form – Released!